A cholera epidemic, which has killed more than 2,000 people in Yemen, continues to claim unborn children amid the ongoing Saudi military campaign against the impoverished nation. The ISIL`s media wing released some photos disclosing that the terrorist group has begun to deploy its so-called ‘Caliphate Cubs’ in blatant suicide operations against the Syrian army troops in Deir Ezzur. (AhlulBayt News Agency) - Iraqi security and medical sources say at least 50 people, including three Iranian pilgrims, have lost their lives in twin gun and car bomb attacks striking the country’s southern province of Dhi Qar. Speaking to IQNA, Ramin Igidov rejected the idea of adopting a military approach to the Rohingya issue, saying that Muslim countries should warn Myanmar that if it fails to stop the massacre of the Muslim minority, they would cut ties with the Southeast Asian country and boycott it. Bahraini regime forces have reportedly attacked dozens of Shia inmates at Jaw prison as the ruling Al Khalifah regime presses ahead with its heavy-handed crackdown against prominent figures and followers of the majority religious community in the tiny Persian Gulf kingdom. The Daesh Takfiri militants and their families have begun to evacuate Syria`s strategic and mountainous region of Qalamoun close to the border with Lebanon, and head towards eastern part of the country as part of a negotiated deal to end the extremists’ presence there. Why did messenger of Allah [PBUH] not punish “Khalid ibn Walid” for killing “Bani Juzaymah” tribe? 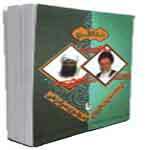 Is “Imamate and Policy” book written by “Ibn Qutaybah al-Dinawari”? Who will wrap imam “Mahdi” [a.s] in a winding-sheet and perform his “Ghusl” after his death? Does this hadith “My caliphs are twelve persons” indicate the existence of hadrat “Mahdi” [a.s]? 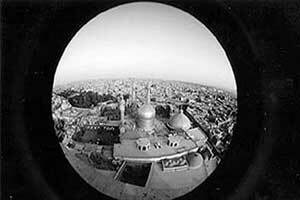 Why did commander of the faithful Ali [a.s] oppose Abu Sufyan’s rising against “Abu-Bakr”? 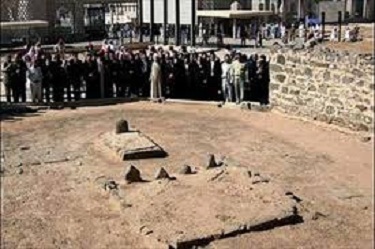 Was commander of the faithful Ali [a.s] martyred while worshiping in altar? 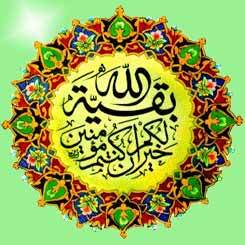 Is “Abdullah” the name of imam Mahdi’s [a.s] father? Has the birth of imam “Mahdi” [a.s] only been quoted via “Hakimah”? Do Shias accept this matter? What are the similarities between imam “Mahdi” [a.s] and “Dhul-Qarnayn”? 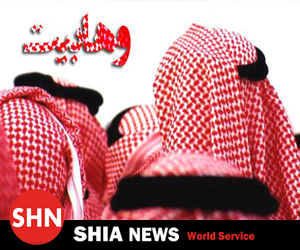 Has disappearance of imam “Mahdi” [AS] been predicted in Shia authentic narratives? 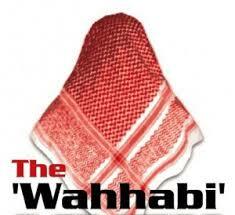 Do Wahhabis believe in savior? Is Hadrat “Mahdi” [AS] from the descendent of imam “Hassan Mujtaba” [AS]? Is there any authentic narrative to prove that “Uthman ibn Sa’id” was the advocate and deputy of Imam “Mahdi” [A.S]? Was this verse “بقية الله خير لكم ان كنتم مومنين” sent down about Imam Mahdi [A.S]? Is that true that “Uthman” got married with two daughters of Prophet Muhammad [PBUH]? Was “Muawiyah” the writer of revelation? 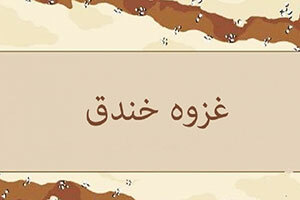 Was this verse “« … قل لِلمخلفِين مِن الاعرابِ » revealed about the battles of “Abu-Bakr” against “companions of Reddah”? Why did Shia Imams [A.S] go to the place of their martyrdom while they knew that when and how they’ll get martyred?